One of the prime suspects for our decreasing bank balances are those dreaded £3.50 meal deals. They seem cheap, but one every day of the week sure does add up. So we’ve put together our best tips for making packed lunches to send you into the final semester healthy, satisfied and with a few extra coins in your pocket. I know – the words ‘packed lunch’ make me die a little inside. I’m remembering soggy sandwiches with crushed packets of crisps and leaking water bottles. But trust me: these lunches are far from those primary school nightmares. The basic premise is a combination of protein, carbs, leaves, and a dressing. Prepping one or two dressings or dips at the beginning of the week takes away the most work and is the part of the lunch that makes it extra tasty. My favourite dips are the classics: hummus, salsa, and guacamole. With dressings, I like to make one from tahini or yoghurt mixed with lemon juice and salt, or a spicy peanut dressing from blending peanut butter, water, soy sauce, and chilli powder. You can experiment with these as you go to find your favourites. On the protein side of things, go for cheap pulses like chickpeas, lentils, or beans that you can cook up and season ready to throw into your Tupperware. Meats and cheeses are obvious choices but a bit more expensive, and if you’re a veggie but want something substantial, frying up some Quorn strips or cooking a meat replacement at the beginning of the week can also save you time and effort. I tend to roast a mixture of vegetables that I can then throw in with any combination of ingredients. Also – stick to carbs that don’t take much cooking time, such as bread or rice. Brown rice is better cold than white, just FYI. If you have the time, why not make a bigger portion of roast vegetables, then buy a packet of microwave rice to share with a friend. The Students’ Union has free to use microwaves, and a ‘packed picnic’ can really help your well-being by slowing down and taking a break midway through your day. Once you have all your ingredients – remembering that preparation is key – you’re sorted for the week. 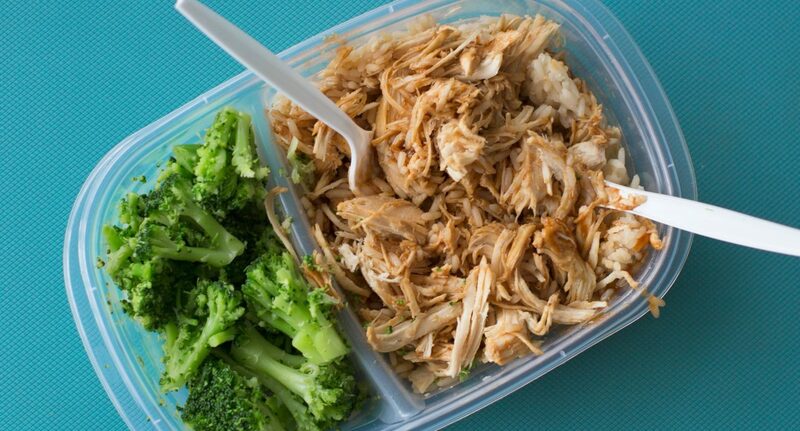 Mix and match what you already have prepped for simple lunches that don’t lack variation. Chickpeas and cauliflower roasted in spices, mixed with brown rice, rocket and the yoghurt and lemon dip. Black beans, roasted sweet potato, and lettuce with salsa and/or guacamole. Tofu (baked) with roasted broccoli, quinoa, and the spicy peanut dressing. A sandwich made from mashed chickpeas, the yoghurt dressing, grated carrot, and lettuce. Halloumi, roasted tomato, and courgette wrap with hummus. I know they’re all vegetarian (mainly because I am) so feel free to add in meat if that’s your thing. But bear in mind that vegetarian tends to be cheaper and easier to cook.